It may sound a little far-out, but your walls give your guests an insight into the real you. So what do your walls say about you? Our stunning range of textured paintable wallpaper is the perfect choice for those who want a new room design, but also have one eye on the future. By choosing a paintable wallpaper, you can easily give your home a brand new vibe if you suddenly feel like a change. The raised pattern on our Curvy design makes a bold statement with slight shadows that form as the pattern dips inwards. 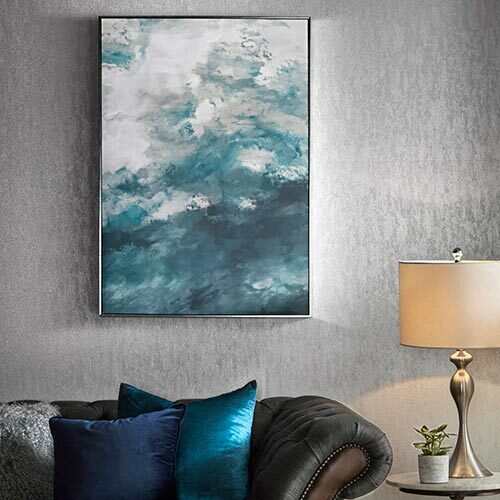 A durable wallpaper that stands on a thick base, this product is perfect for walls that are a little uneven. If you’re new to decorating and you want to avoid the hassle of plastering wonky walls, this could be the wallpaper for you. Do you prefer the finer things in life? Kick-start your productivity with stunning green walls. Nothing says luxury like a regal damask wallpaper and green has been psychologically proven to boost output in offices. Combine luxury and productivity for a look that shows your career-driven side, as well as your competitive nature. This glorious Desire Teal wallpaper shows that you’re motivated, without being too intimidating. The fun colours used will allow guests to relax and feel at ease. Our stunning Kelly’s Ikat design is sure to wow your guests and show your more refined side. 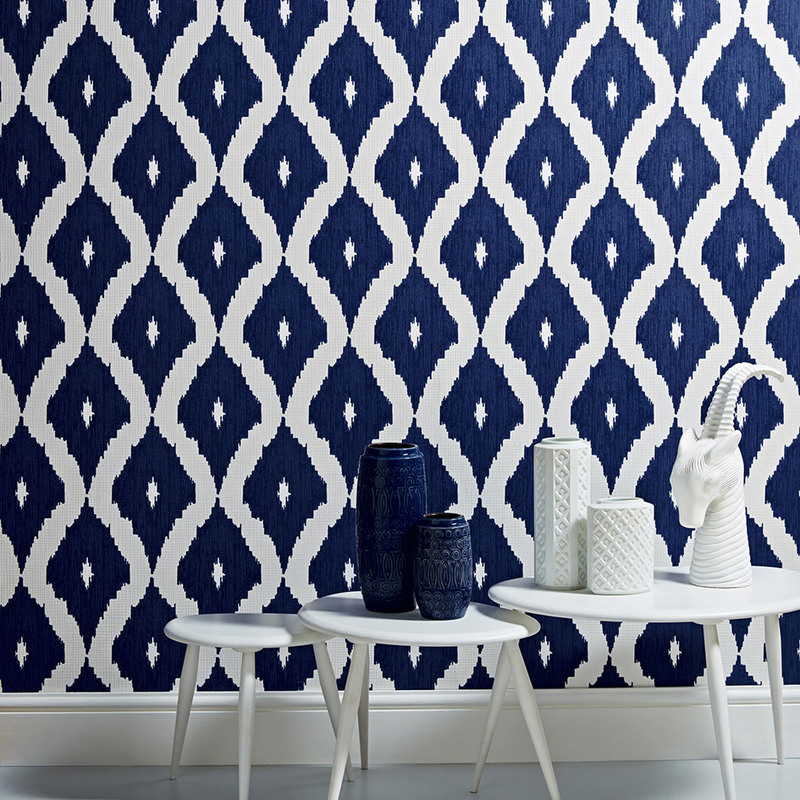 This geometric pattern may be quite bold, but the deep blue hue brings a mature tone to the room. Nothing says classy and sophisticated better than a monochrome featured room. 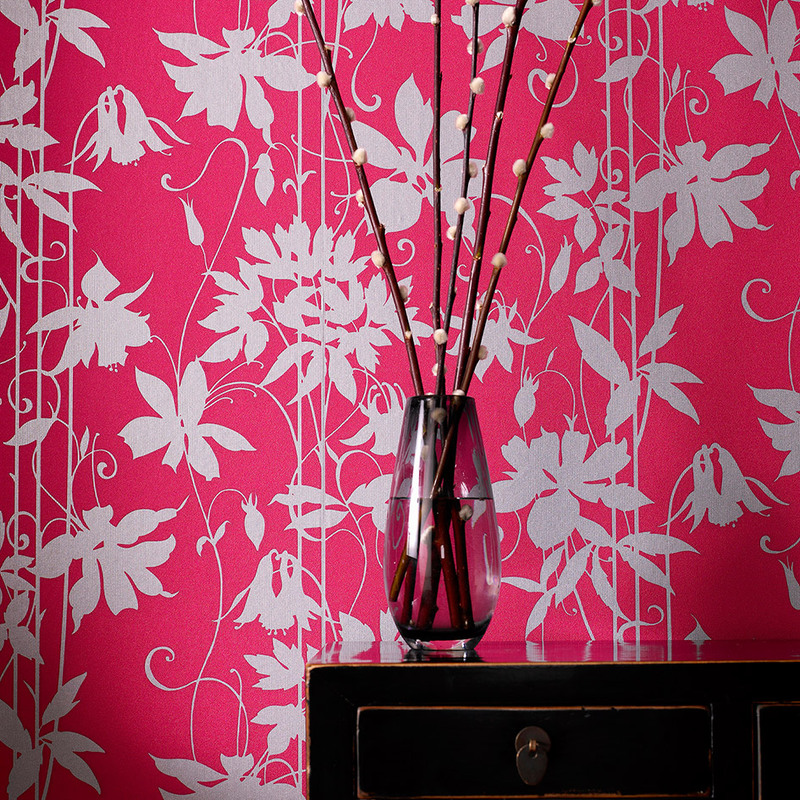 Our stylish Majestic wallpaper design is perfect for those who take extra pride in their homes. 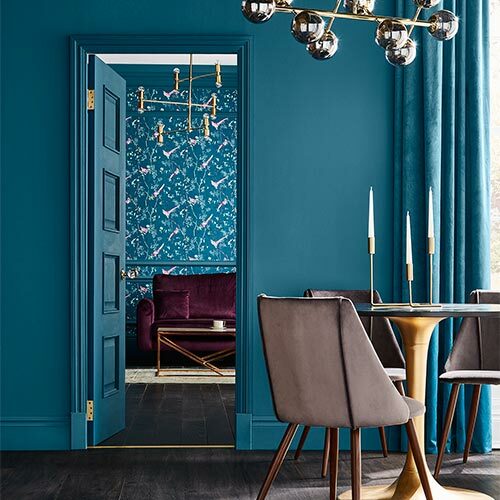 A wallpaper that depicts a luxurious damask pattern, but uses a toned-down colour palette, this design creates a stunning contrast in any home. Effortlessly stylish, a monochrome design can be easily paired with matching soft furnishings that co-ordinate in colour, for a modern finishing touch. 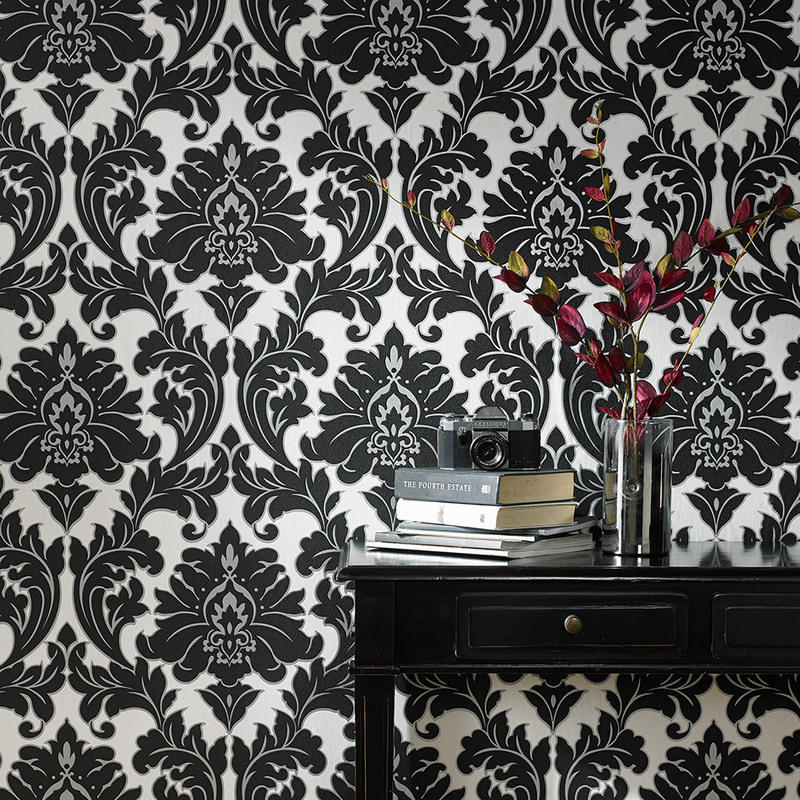 Making smaller spaces seem bigger, black & white wallpaper can reinvigorate your living room and communal areas. 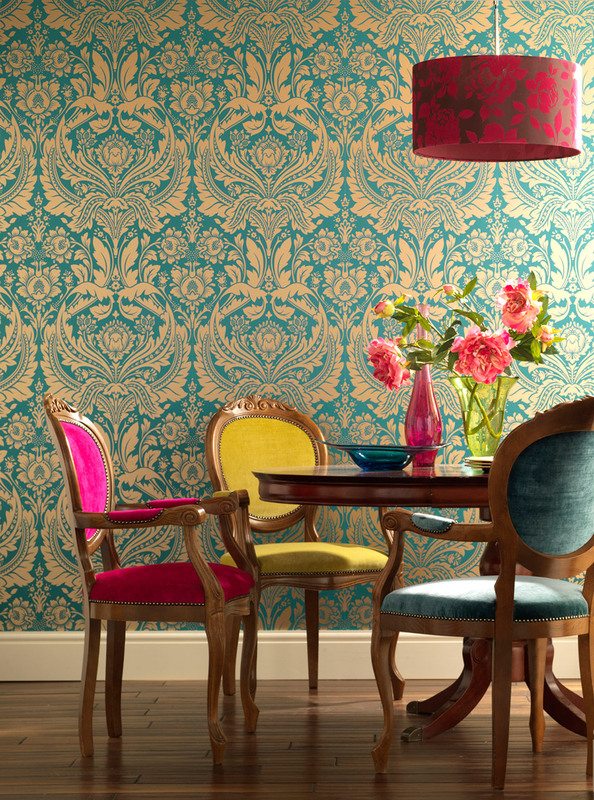 This damask wallpaper is easy to apply in an afternoon, as it is printed on our Superfresco Easy rolls. With these, you paste the wall and not the paper, making it so much easier to apply. 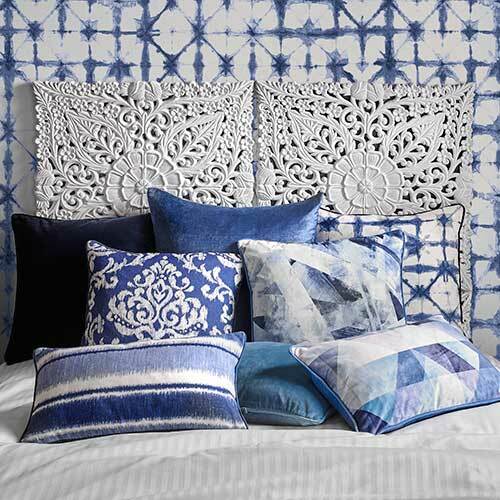 If you’re more of a flamboyant nature, play with large scale patterns and glorious, vibrant colours. Try not to mix too many bright colours at once, as this can come across as quite overpowering. Our Paradise Garden Selaggio wallpaper designed by Laurence Llewelyn-Bowen boasts big impact colours with a gorgeous white floral pattern. Whilst white may not seem so flamboyant, the contrast between the two colours makes each vine pop out from the canvas, capturing your attention and creating a finished look with depth. This floral wallpaper may display a bright, bold colour, but the intricate leaves, flowers and vines show a more delicate side. This shows your guests that whilst you may be a little flamboyant, you still have a softer side. Confidence doesn’t need striking colours or decadent patterns and that’s where our gorgeous Quantum black & silver wallpaper comes in. A subtle change in texture across this beautiful patterned paper adds depth and creates a more intricate pattern as light and shadows stretch across the raised areas. 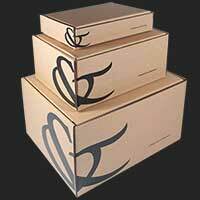 Are you a go getter? 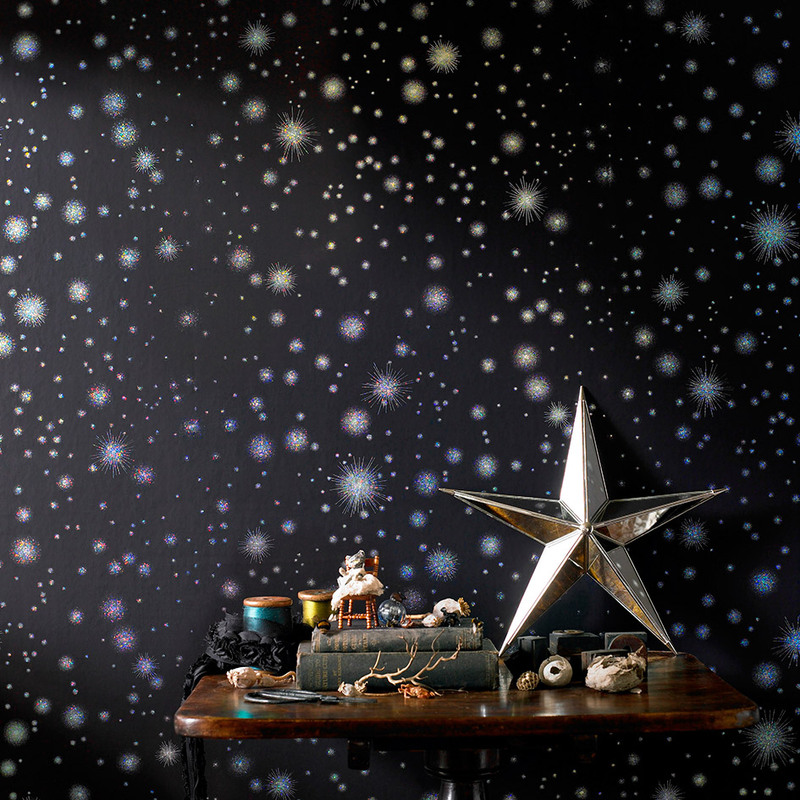 Why not display your ambitious star quality with our amazing Stardust Midnight design? From our Spellbound collection, this stunning holographic design reminds you to shoot for the stars every day. Seek motivation and inspiration in the beautiful twinkle of this cosmic wallpaper. 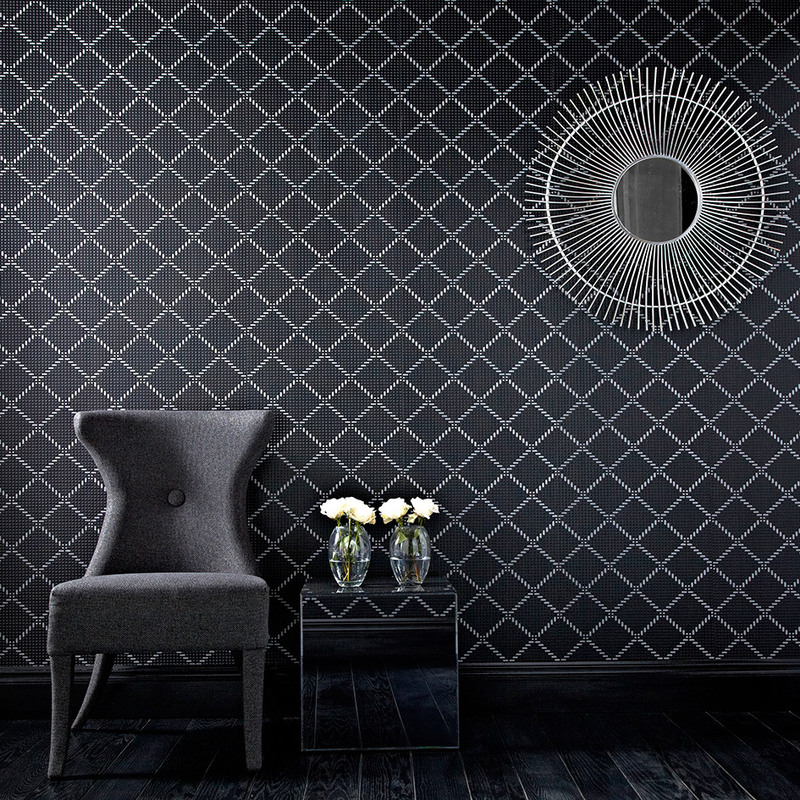 The black wallpaper may look unsuspecting, but you just wait until the light hits the gorgeous pattern! Each foiled star beautifully reflects the light with illuminating rainbow streams. 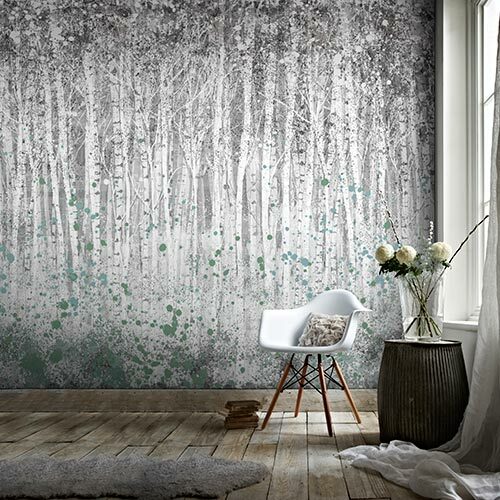 Easy to apply, this stunning design is part of our paste the wall range and takes much less time to put up than your average wallpaper, so you’ll have more time to chase your dreams.